The Migrant Caravan, the Aggression of the Fascists, and the Truth of the Matter: Voices from Tijuana + the New Sanctuary Coalition. And Bob Avakian, Why Do People Come Here? Enrique Morones, founder of Border Angels, talks about the migrant caravan, the assaults of the Trump/Pence administration and fascist vigilantes and KKK working on their behalf, and the crucial work of the Border Angels. A couple weeks ago, Michael Slate went to Tijuana, Mexico, to talk with the immigrants in the migrant caravan, and others, from both Mexico and the US, who were supporting them in various ways, and to report on the militarization of the border and the actions of the US military and Border Patrol. We'll hear more of these interviews in following weeks. Representatives from the New Sanctuary Coalition have been at the border in San Ysidro-Tijuana standing with the migrants. 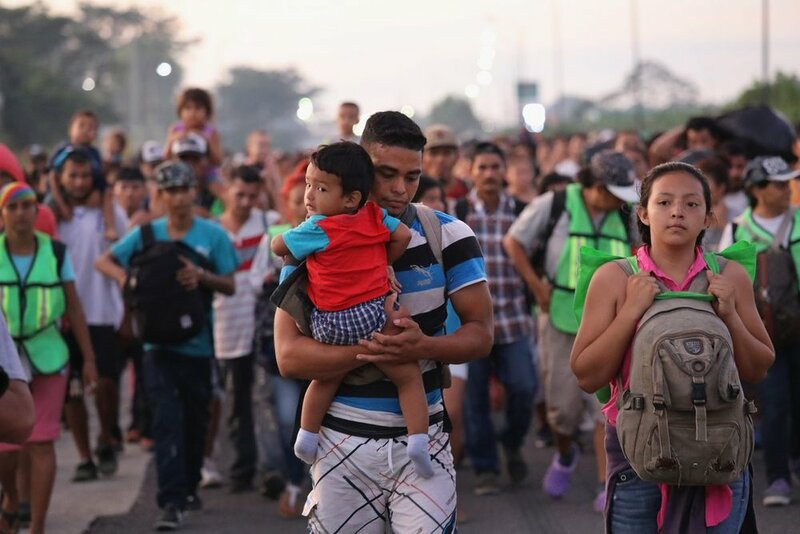 They have announced plans for a Sanctuary Caravan, to spend 40 days and 40 nights at the border assisting the migrants. We'll speak with Ravi Ragbir, the Director of the New Sanctuary Coalition, and Joan Racho-Jensen, an accompaniment leader with the Coalition, who just spent three weeks at the border. "Why do people come here from all over the world?" Bob Avakian, Chairman of the Revolutionary Communist Party, on "Why do people come here from all over the world?" a clip from "Revolution: Why It's Necessary, Why It's Possible, What It's All About, a film of a talk by Bob Avakian" given in 2003 in the United States.